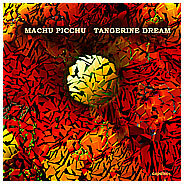 ‘Machu Picchu’ is one of those more intimate projects by TD – not planned for a release during the composing and recording process. It used to be an homage to a man who – like no other person in the business – had ‘created’ TD´s career from a distance, believing in their talent and extraordinary skills, his name was John Peel. The background story and atmospheric influence of this one-piece- 42-minutes- composition, came to life after this music driven character and longtime BBC progressive pioneer passed away in October 2004 in the city of Cusco (Peru) close to the sacred Inca site ‘Machu Picchu’. Our fans should understand that this CD is more than just another record, it is a non-verbal applause, a greeting, a respectful obeisance for a man who truly was remarkable and unique in the best sense of this word. Edgar didn’t want to release these compositions in the first place – “I’ve made them for my own”, he said. But as years passed by, his wife argued with him about his decision, ´this music in your vaults makes no sense for anybody except being part of your own history – one day, to be polite´. So, about two month ago Edgar gave in, and here it is, maybe another one of TD´s most private attempts within their enormous musical outputs. This cupdisc will be delivered in a JEWEL CASE like ‘Mona Da Vinci’ (no cardboard sleeve). PS: EVERYBODY ordering this cupdisc will receive a beautiful postcard designed by Edgar Froese - but the first 100 fans ordering this EP will receive this postcard with Edgar's autograph. SHIPPING START: 20th MARCH 2012!! !